Ever have your favorite Starbucks drink slip right out of your hand and fall to the ground because the cup was "sweating"? I have a creative solution to help with this problem. 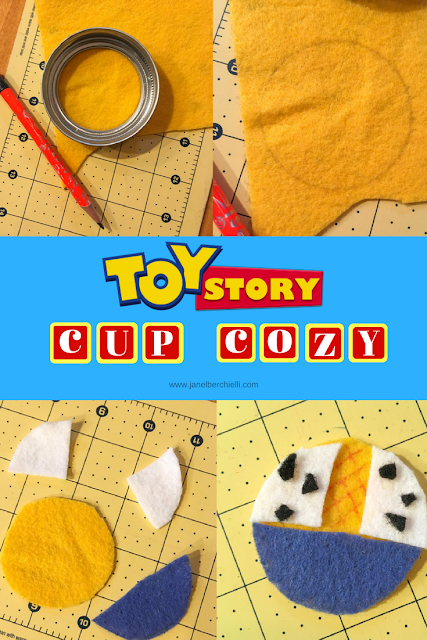 Say good-bye to cup sweat with this Toy Story Cup Cozy DIY. To begin this project you must first decide which Disney character you might like on your cup cozy and that will help you choose the color of felt and coordinating yarn. 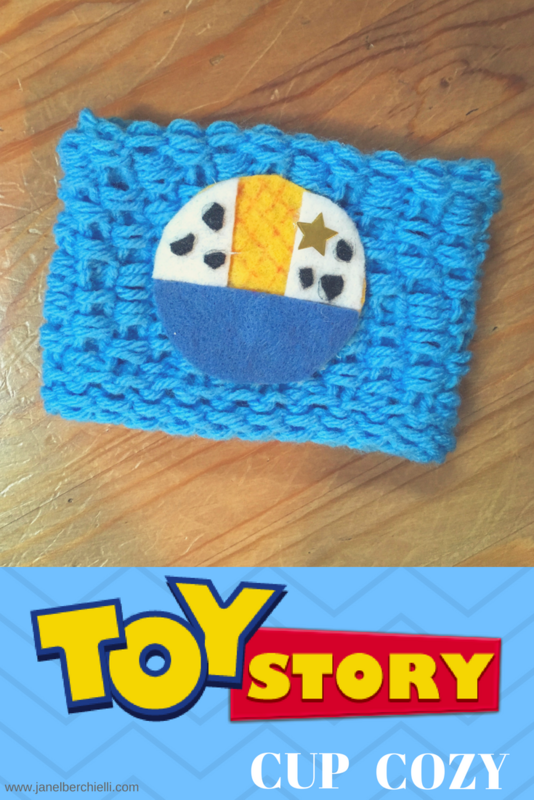 For this project I chose a Toy Story theme with my favorite character Woody. 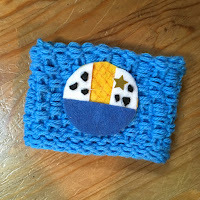 To create the cozy I watched a variety of youtube videos on how to use a loom. 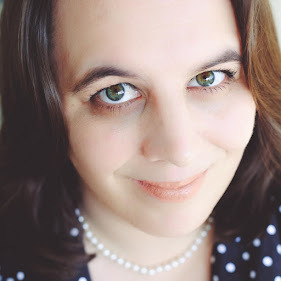 There are so many ways you can design, you have to practice and find the one that works best for you. 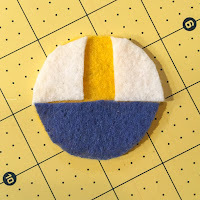 Basically it is like you are making a hat without the brim, without closing the end and much much smaller. 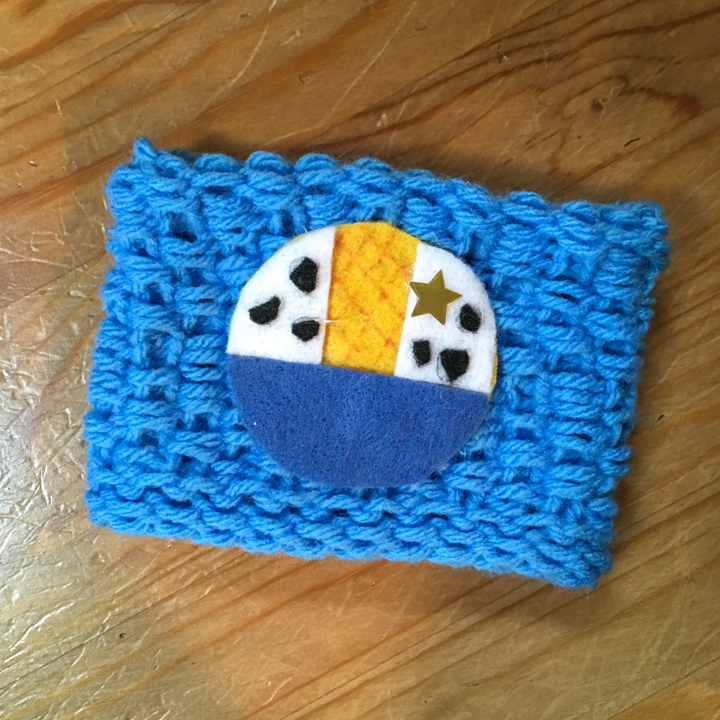 I found that videos from Loomahat and Knitting Board on youtube to be very helpful with learning how to use the loom. 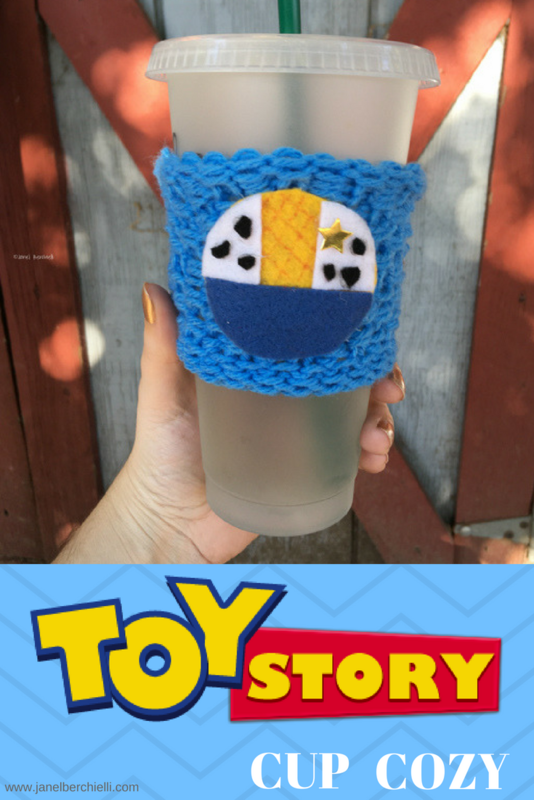 Once you have your desired length on your loom, you are done with the cup cozy part now it is time to create it Disney themed! To create Woody first you need a base. Using my Mason jar lid I traced a circle on the yellow felt and cut it out. 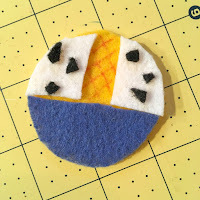 Then I made sure that the circle would fit where I want it on my cozy. 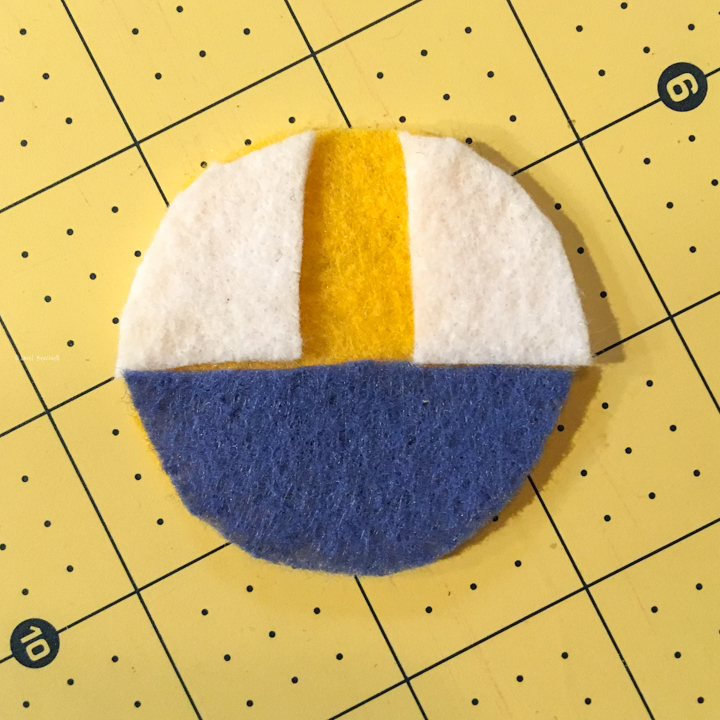 Now trace the same circle on both the blue felt and the white felt. 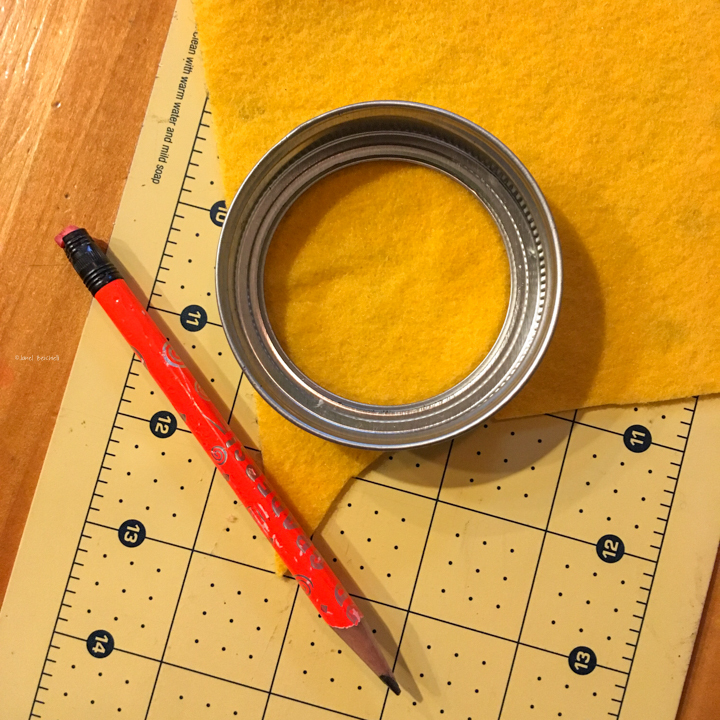 Then cut out the circles. Now take the circles (white & blue) and fold them in half. Cut along the fold of each circle. (For the blue I cut it a little less than half so it could be the jeans). Now with your white felt cut one of the half pieces in half again on the horizontal. This is going to be Woody's vest and you might need to cut a tad more because when you line it up you want some of the yellow to show through. Lay all your pieces together onto of the yellow circle. Arrange them in a way that looks like Woody's outfit, make sure you like the placement before hot glue steps. At this point you can get some of the black felt and cut tiny piece to create a cow print on the white vest, leave room for the star. 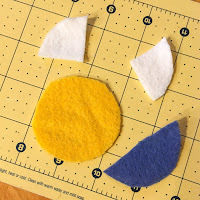 Before using the hot glue very lightly with a red pen draw the diagonal lines on the yellow park of Woody's shirt that is showing. 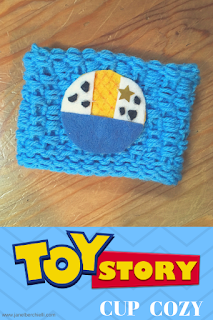 Don't forget to add your star to Woody's vest (I just used a gold star sticker). Now it is time to use the hot glue gun and glue all the pieces together. Allow your Woody creation to fully dry and come back to room temperature before the final step. Now decide where on your cozy you would like Woody. When you are happy with your placement place hot glue on the back of your Woody creation and press it firmly to your cozy. Once it is dry you are ready to slip your cozy on your Starbucks or other fast food location cup. Your cup with be the hit with all your friends and everyone is going to want to know where they can buy one! Hope you found this fun DIY Disney Inspired Cup Cozy project helpful. 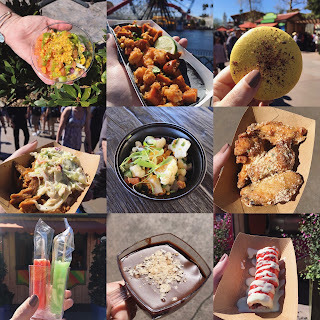 The Disney theme possibilities are endless!